While THE GRACE CARD marks David Evans' first foray into filmmaking, his role as director and executive producer is one he has been preparing for most of his life. A doctor of optometry by profession, he has passionately been involved with creative endeavors since he began making homemade films at the age of 12. David began acting in junior high school, and produced a number of large-scale productions and events while earning his undergraduate degree at Southwest Baptist University. Since 1994, David has overseen the annual Easter passion play at Calvary Church in Cordova, Tennessee. 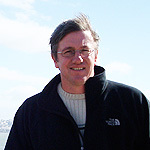 David developed a unique way of presenting the life of Jesus by crafting modern-day tales that parallel the story of Christ. This requires a new script and new characters each year. These days, the production includes a cast and crew of more than 250 people, along with huge sets, hydraulic lifts, computerized lighting, and exotic animals. It takes three months to assemble the staging and complete the choreography required for the performances. THE GRACE CARD began as the script for one of Cavalry's passion plays. Inspired by Sherwood Pictures' FIREPROOF, David worked with veteran screenwriter Howie Klausner to create a script that David and his Graceworks Pictures team then filmed in 30 days in Memphis. 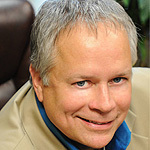 David moved to Memphis in 1990 to attend the Southern School of Optometry. He and his wife Esther now live in Germantown, Tennessee with their three sons. 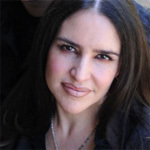 A newcomer to the movie business, Esther Evans serves as executive producer of THE GRACE CARD. A ballet dancer for 15 years, Esther has served as the choreographer for Calvary Church's The Passion Play pageants. Esther has been in the eye care business for more than 25 years. She is the administrator for Total Eye Care, PA in Memphis and is involved in recommendations for patients that require specialty vision correction. Esther has volunteered with the World Cataract Foundation, a non-profit organization whose mission is to eliminate cataract blindness in many parts of the world. She has served as a translator for surgeons on trips to Mexico and Cuba. Esther, whose parents emigrated from Cuba, was born in Elizabeth, New Jersey. She and her husband David live in Germantown, Tennessee and have three sons: Houston, Matthew, and Garrett. 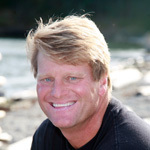 Veteran filmmaker and screenwriter Howie Klausner developed the script for THE GRACE CARD based on David Evans' original story and helped produce the film. A graduate of the Cinema-Television School at the University of Southern California, Howie worked in Los Angeles before relocating to his hometown of Nashville. His best-known credit is the 2000 blockbuster Space Cowboys with Clint Eastwood and Tommy Lee Jones. He also wrote the TNT documentary "Dirty Harry: An Original." After authoring the book Rocketman, the biography of astronaut Pete Conrad, Howie created and developed a NASA-themed drama for ABC-Touchstone. In 2008, he produced and directed Outlaw Dreams, the feature length documentary about a minor league indoor football team and its once-in-a-lifetime championship season. 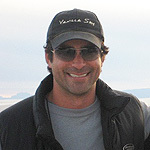 The Last Ride, a fictional drama written by Howie, is scheduled for release in fall 2010. Inspired by the last days of country music legend Hank Williams, the film stars Henry Thomas and Fred D. Thompson. Long before he began his career in Hollywood, Howie started his show business career recording and touring as a singer with the Gaithers. He appeared on their bestselling children's album, I'm Something Special among others albums. Howie lives in Franklin, Tennessee with his wife and three daughters. A dedicated craftsman and passionate artist, director of photography John Paul Clark has been part of THE GRACE CARD team since early in the development stage. 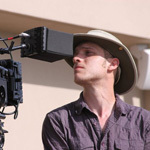 His experience has been in independent films such as Daylight Fades and Blue Ridge, along with a number of shorts, music videos, and commercials. After studying film and video production (along with philosophy) at the University of Memphis, John Paul remained in Memphis where he still lives. John Paul is an avid rock climber. John Saunders began his film career as a production assistant on The Firm in his hometown of Memphis in 1993. While THE GRACE CARD is his first producer credit, he has had extensive experience as an assistant director and a second unit director. Among his credits: Walk the Line, Into the Wild, and Leatherheads. Currently, John is working as an assistant director on Machine Gun Preacher, a movie based on the true story of Sam Childers, a former drug-dealing biker tough guy who found God and became a crusader for hundreds of Sudanese children that were forced to become soldiers. A graduate of the University of Memphis, John lives in Germantown, Tennessee with his wife and two daughters. John Nasraway has worked on more than 20 feature films since he began his career in the entertainment business as a production assistant on "The X Files" in 1998. 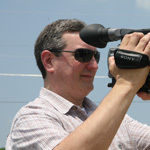 While THE GRACE CARD is his first producer credit, John has served as assistant director or second unit director on a dozen projects, including Bedtime Stories, Leatherheads, and The New World. John is a native of Newport Beach, California and currently lives in Los Angeles. He is currently working on a pilot for a new television series. Lynn Holmes is the Senior Pastor of Calvary Church in Cordova, Tennessee, which he has led since 1996. He has also served churches in Alabama, Texas, and Oklahoma. Pastor Lynn considers himself a \"grace preacher\" who recognizes that we all have needs and room for improvement, which is precisely why Christ died for us, offering us the ability to deal victoriously with the issues that life throws at us and to experience the grace of God on a daily basis. Calvary Church is a community-minded fellowship of believers that practices the love and grace of God. The church is willing to attempt new, cutting-edge ministries, with THE GRACE CARD a prime example of this innovative spirit. Lynn has three children with his late wife Debbie, and two stepchildren with his wife Robin. They reside in Arlington, Tennessee. 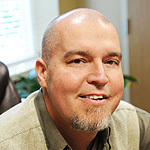 Mark has served as the Pastor of Worship and Arts at Calvary Church in Cordova Tennessee since 2003. Through creative services, innovative programs and special productions, Calvary Church has established itself as a worship center and creative community that welcomes the increasingly diverse culture of the greater Memphis area. Mark's wife Cindy (who plays Dr. Vines in THE GRACE CARD) shares his passion for worship and ministry through her leadership and experience in drama and performing arts. Mark previously served in worship and arts ministries at churches in Nashville, Memphis, Chicago, Cincinnati, Atlanta, and Seattle. 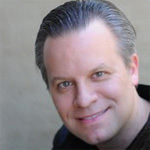 Mark is a 1984 graduate of Trevecca Nazarene University in Nashville, where he was active in musical and dramatic productions, and enjoyed opportunities as a student worship leader and representative of the university as a vocalist in various touring groups. Timothy D. Brown is a 20-year television industry veteran. He has produced programming for CBS, NBC, ABC, CNN, ESPN, TBS, and FOX News. Other clients have included Lance Armstrong's Livestrong Foundation and several Fortune 500 companies, for which he has produced award-winning commercials. A judge of the 2009 and 2010 Gospel Music Association Dove Awards, he has worked with some of Nashville's top recording artists including Michael W. Smith on the singer's top-selling DVD, \"A New Hallelujah.\" Tim lives with his wife and two daughters in Franklin, Tennessee.